I identify so much in a courageous rat transporting a pizza slice nearly three times its size down the stairs of a New York subway station. 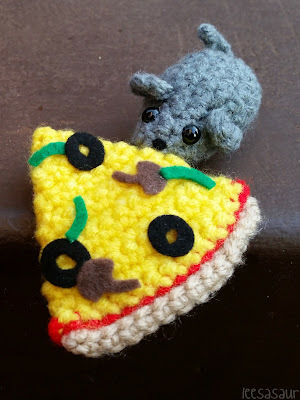 A reflection of several aspects of my life are all referenced in this video: My extensive love for pizza, surviving the constant hustle, the determination to meet my goals, the extreme gratitude of finding something to eat, so on and so forth. 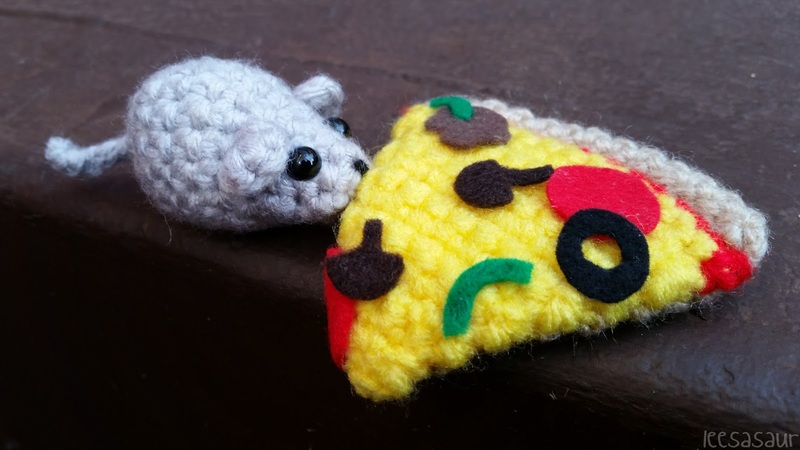 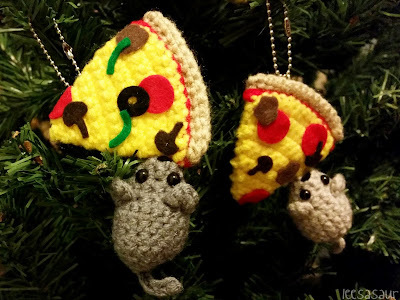 So, in homage to this rat's documented journey, no admiration of mine would be complete without a crochet replica of this pizza loving fella. I made a variety of toppings so meat-lovers and vegans alike can enjoy with me! 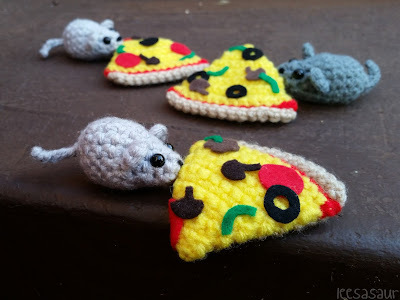 The rats go marching slice by slice, pizzah, pizzah! 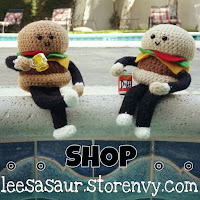 All Pizzah Rats are fastened with removable chains so you can display them every which way they aim to travel.